The private accused of proliferating the biggest data breach in US history said he felt like a caged animal in military custody. 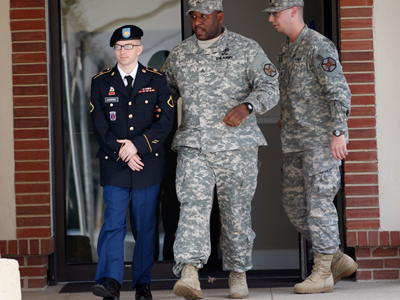 Bradley Manning described the inhumane treatment he was subjected to in detention centers during a pretrial hearing. The 24-year-old spoke at length about his time in custody, beginning with his arrest in Baghdad in May 2010 and subsequent transfer to Camp Arifjan in Kuwait. Elaborating on his deteriorating mental state he said he was anxious all the time and acknowledged that he had contemplated suicide but he "didn't want to die," he just wanted to "get out of the cage." "My nights were my days and my days were my nights. It all blended together after a couple of days," he told the court. He said that following a course of medication his condition stabilized before he was returned to the US for processing at Quantico detention center in Virginia. The private said his elation at being back in his home country was short-lived, as upon arrival he was put on suicide watch and subjected to prolonged harsh treatment by the camp’s military personnel. He demonstrated to the court using white tape how small his cell was in the Quantico detention center. Manning also put on the restrictive suicide smock which he was forced to wear during his 10 months in the detention center. 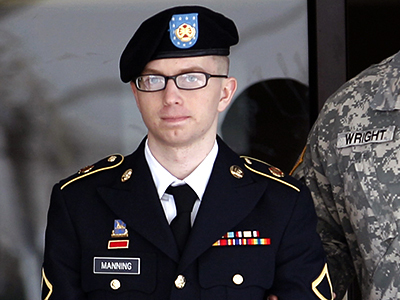 In spite of military doctors’ recommendations, Manning was put under suicide watch at Quantico. Captain William Hoctor, a navy doctor charged with evaluating Manning on a weekly basis said he was “satisfied he [Manning] no longer presented a risk. 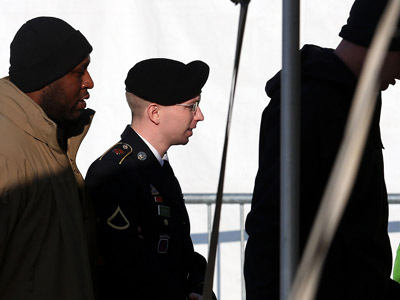 He did not appear to be persistently depressed, he was not reporting suicidal thoughts.” Hoctor said his advice was ignored by military personnel who continued to hold Manning until the same conditions. Kept under constant surveillance, he spent around 23 hours a day confined to his cell and denied basic items such as toilet paper and bed clothes. 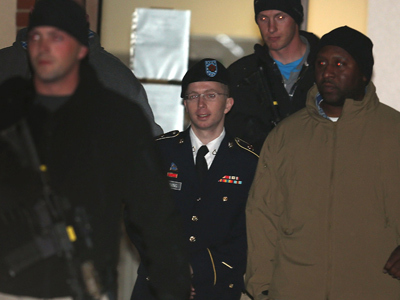 Manning was transferred to another detention center in Fort Leavenworth, Kansas, in April 2011. He described the whole experience as an “upgrade” and said it felt “awkward” not to have to wear restraints. 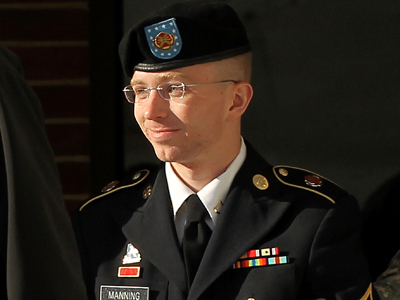 Manning spoke for almost six hours during the hearing, occasionally stumbling with dates and details. On Friday Manning acknowledged that he made a noose out of a knotted bed sheet as he contemplated suicide. His attorney argues that he was treated unjustly when he was subjected to prolonged solitary confinement at the Quantico detention facility. 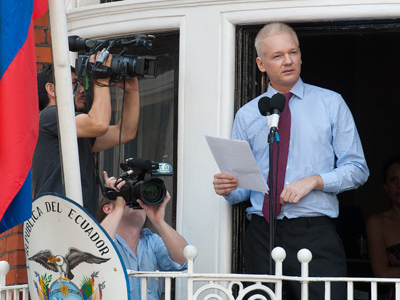 Manning is being tried on 16 charges, including aiding the enemy, for the release of classified documents to whistle-blowing website WikiLeaks. If convicted, he could face the death penalty or a lengthy jail sentence. 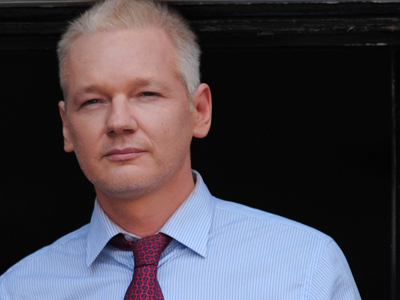 He has offered to plead guilty to releasing classified information, but US officials have not yet intimated as to whether they pursue his prosecution for the other 15 charges.